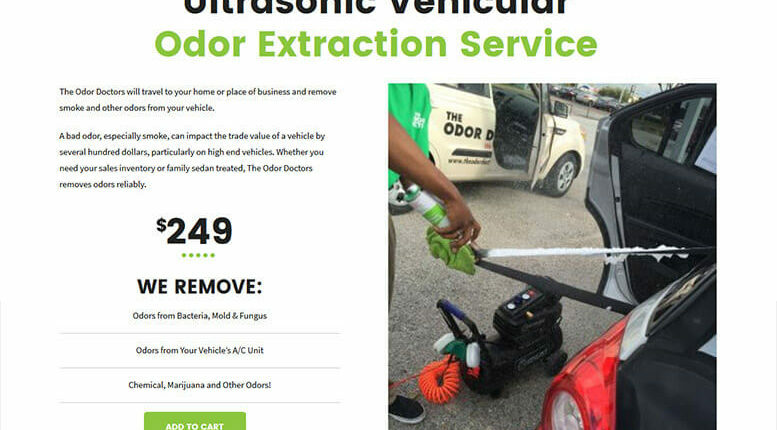 The Odor Doctors service automobiles all across the United States by cleaning, sanitizing, and deodorizing without using harsh chemicals. 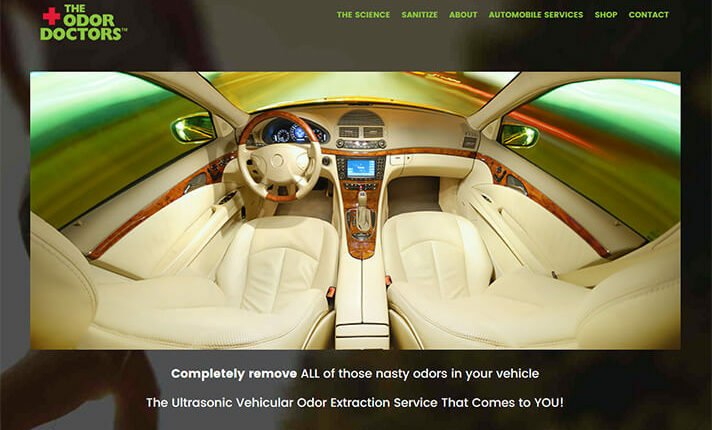 Their revolutionary cleaning system uses very hot steam to clean the interior of any automobile from offending odors such as smoke, mold, fungus, food, chemicals, and others. 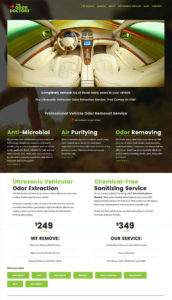 With dozens of locations throughout the county, TheOdorDoctors.com required an updated website in order to keep up with the demand for their services. 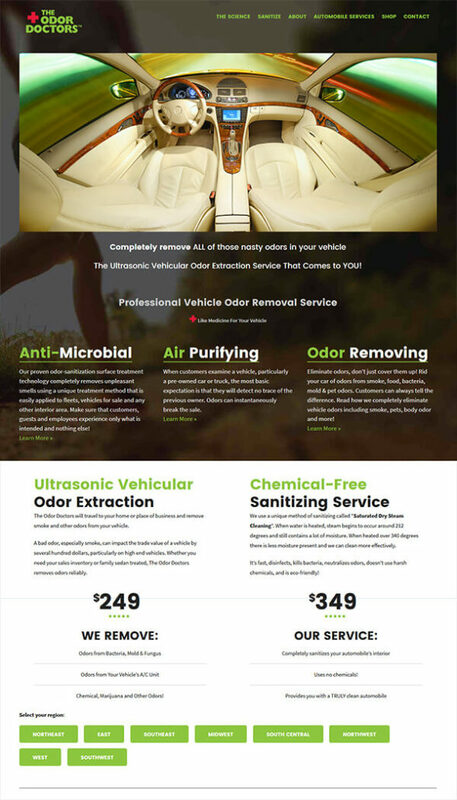 3PRIME delivered an E-commerce based solution that allows website visitors to purchase different vehicle deodorizing and sanitizing services directly from the website, which is easy to use and optimized for mobile devices. 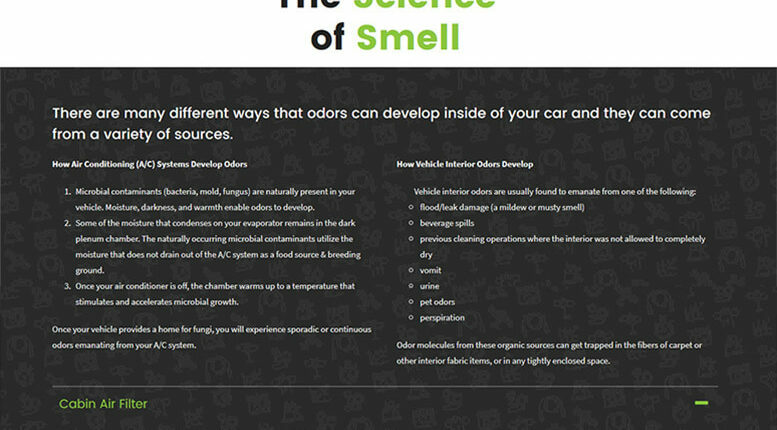 An attention-grabbing, responsive WordPress website redesign that increases conversions. The visitors’ shopping process is quick and painless. 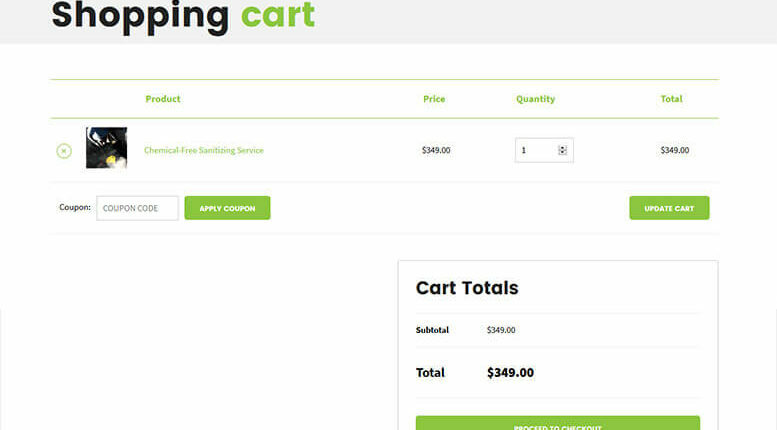 Secured checkout methods. Restructured page hierarchy, added new E-commerce service and page copy to aid search engine optimization.